It’s been a while since my last post, but with the tennis season on break it is easier to find time and write a more in-depth preview for the 2012 season. Looking back at the 2011 tennis season, you have to mention the fact that it’s very much been the year in which Novak Djokovic has stamped his mark on tennis history. 41-0 was Novak’s record for 2011 before the French Open semi-final that saw him finally lose a match. I feel that I covered these two players already in previous posts and there isn’t that much to add, so I’ll try to keep it short. Some tennis experts still see Federer as the top player he was a few years back, but they refuse to see the facts. I agree with them to some extend, meaning that I still see Federer being there in the top and being a contender at each Grand Slam. But he’s over 30 now and this past season he has had a few bad loses including the Tsonga match at Wimbledon and the Djokovic match at US Open. And interestingly enough a pattern of play has started to take shape in which he starts the matches in good form but doesn’t manage to finish them in the same way. I don’t remember if I mentioned this before, but one interesting fact about Federer is that laying him in the ATP 1000 tournaments has been a very profitable strategy over the past few years, and depending on a few circumstances, it could continue to be so, especially when his main focus will still be on Grand Slams. But the most important thing in 2012 for Fed will be to get a gold medal at the Olympics. He already stated in numerous occasions that that is what he is aiming for, this season. He knows this might be his last chance and the grass surface at the All England Club offers him the best opportunity. Not to mention that he is a very loved player at Wimbledon, and the support and energy he will receive from the crowd could play a significant part; and he has a “feel good” factor there, having won 6 times. But what I’m looking forward to in 2012 is more big losses for Federer and a few occasional big wins. And from a trading perspective, the older he gets the better he is for trading (as is the case with most top players). For Djokovic, things can be a little confusing right now. He’s had the best season possible, and the main question is where to go from here ? The obvious response would be to keep doing what he was doing and continue getting more titles and attempt to win the French Open to get the career Grand Slam. A bit of a dip, from a results perspective is very much possible in 2012, so we’ll have to wait and see where he stands on a mental level, because for the past year he’s very much been in his own bubble were nobody could touch him. The injury he suffered at the end of the season represents a question mark as well. If we didn’t have to attend the year-end World Tour Finals I’m sure he would have taken the rest of the year off right after that Davis Cup match in which the injury occurred. I’ll start by saying that I have never been a big fan of David Ferrer. But I do have to respect the guy because he is a true overachiever. He ended the 2011 season with a no. 5 ranking, which is a more than respectable position for someone like Ferrer. I expected 2011 to be the year Ferrer would decline in the rankings and maybe slide into tennis mediocrity as far as results are concerned. But as soon as 2011 started with the tournament in Auckland I was forced to change my outlook on Ferrer’s season. Good thing I did so, as the Auckland triumph was soon followed by a semi-final appearance at the Australian Open. A performance that saw him match his best result at a Grand Slam. To reach the semi final, he defeated Rafael Nadal in the quarters, who back then was “the talk of the town”, as a win for Rafa would have meant that he would be the only player in the open era that held all 4 grand slam titles at one time (or in other words, achieving the non-calendar year grand-slam). But will talk about Rafa a bit later. What’s important to note here is that Ferrer will be turning 30 in April 2012. 30 is the age, that for a tennis player is important both from physical and psychological perspective. The impact is even more accentuated on a player like Ferrer that lacks big weapons and has his strong point is putting a lot of balls back in play while also opening the court (typical play for a clay court player). The problem is that in order to keep applying that tactic and doing it at a high and competitive level you need to be in the best shape of your life (physically speaking), and mentally you have be a giant. Inconsistencies in his game have always been there, but as he gets older, more of these fluctuations will surface out in matches and ultimately hurt his overall game. One more thing to mention here, and end the Ferrer topic, is that despite him having a more than decent season by the numbers (rankings and stats) laying him at odds shorter than 1.25 has been a profitable strategy in 2011 and should be even more profitable in 2012. I would go into more exact numbers but that could be an entirely different post. The thing to note here is that Ferrer should lose his top 10 ranking in 2012 and we will see more fluctuations in his matches. After what was a great 2010 season for Nadal, 2011 was always going to be hard because he had to rise up to the expectations that a world no.1 position imposed. As I said earlier, if Nadal would have won the 2011 Australian Open we would have been the only male athlete in the open era to hold a non-year Grand Slam. I remember that the press was really excited about the possibility of that happening but the chances were slim, since Nadal had contracted a virus at the Doha tournament that affected him severely for the rest of the month. But was really the highlight of Nadal’s past season is Djokovic. He played against the Serb in 6 finals, out of which 2 were Grand Slam finals, and he lost on all 6 occasions. Clearly, by now Rafa has a perplex against Djokovic and has stated that his main focus for 2012 will be to regain his no. 1 ranking. But the way I see it, that will be difficult, and unless he can take advantage of any favorable circumstances that might arise, it will be close to impossible. Looking at the tactics of the game, it has never been a secret on what the correct tactics are when you’re up against Nadal, but most of the time it has been all about execution during the span of several hours. One advantage that Nadal had over his opponents in the past, is that he would wear them out (physically and mentally), but the one that seems to be worn out most often is Rafa himself. 2012 will be a revealing year for the Mallorcan. A few years ago, you would have said that he could never win a Grand Slam played on any other surface than clay, then came the knee injury that saw him take a leave of absence from the game, and each time the Spaniard proved everyone wrong and delivered amazing result. Only then, there was a strong determining force behind him, each time. He wanted to win all Grand Slams and be world no.1. The only motivation now is being world no.1 again and winning more slams which isn’t really the best motivator. After winning the US Open in 2010 I’m sure he felt that his job is pretty much over and he has made his mark on tennis history and the question was where to go from there? At the end of this year Nadal even declared something along the same lines. I have lacked a bit more passion for the game, intensity in my strokes, strength in my legs and mental strength. But the most important thing that is missing is mental strength, which makes all the rest possible. Rafa declared that will try to regain his motivation and spark in his game but we’ll have wait and see if that really is the case. He certainly has to bring something new to the table. As a side note, for 2012 I expect Rafa to finally lose his Monte Carlo title and see a new winner there. To end the Nadal subject and bring further evidence or the lack of fight in the Spaniard’s game this past season I want to share with you the fact that Nadal was served 3 bagels. Think about that for a moment. That means he was unable to win one single game, during the span of an entire set, in 3 separate occasions. That is the exact opposite of what Nadal has come to represent during the last seasons, and that is: fight until the end no matter what the scoreline is. With Federer now being over 30, Nadal having a motivational question mark, and Djokovic very much being in his own bubble, Tsonga and Del Potro can very well take center stage this future season and impose themselves at the pinnacle of the game. While Del Potro has already won a Slam, and can be said that the rest of this career is a constant chase for that form that brought him the 2009 US Open title, Tsonga is yet to reach tennis nirvana. The Frenchman has reached the 2008 Australian Open final, crushing Nadal in the semis, but since then, injuries have had the better of him.But despite the injuries he has had in the 2008-2010 seasons he always finished those seasons ranked in the top 10 which says a lot about the potential, given an injury-free season. If I were to hand out a “most improved player of 2011” award for the top players, I would award it to Tsonga, because on the psychological and self-belief level he has made a huge progress. Managing to win against Federer at Wimbledon after you’ve been 2 sets down is big news. As far as game ability goes, the only liability the Frenchman had was his backhand. A backhand that has improved this past season ; an improvement that is now part of his game. Because while most players can work and improve their weaker shots, it’s all about how those shots play out during the more psychologically intense moments of matches, because when times are tough in matches, players tend to go back to their roots rather than subconsciously apply what they recently practiced and worked out in training. It’s fair to say that looking strictly from a results point of view, Del Potro was a huge disappointment in the Davis Cup final. On day one of the final, he played Ferrer and could have closed the match on several occasions but failed to do so, giving Spain a crucial 2-0 advantage at the end of day one. And in the third day, he really had no option but a win against Nadal. He put in a more than decent fight in that match, having started quite well by taking the first set and leading by a break until fatigue and “the mind game” started to kick in. 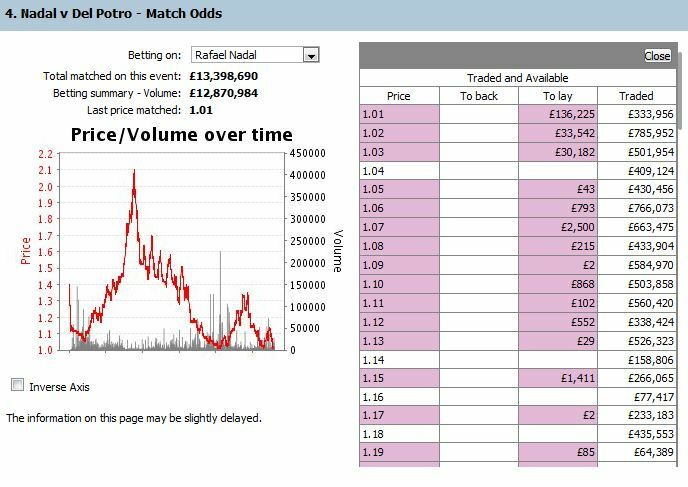 In that match, Nadal’s starting price was below 1.15 and being pushed even lower, with the only viable reason being the fact that Del Po, a couple of days before he had to play a very long match against Ferrer. 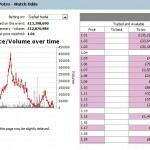 But tactics wise, as well as the execution of those tactics were always on Del Potro’s side which proved to be the case. But as I said in the end, over 9 hours of play was simply to much for the Argentine player and despite a almost unexpected burst of power when the match was all but over, there wasn’t much that he could do. But the fight and passion was there and certainly a sign of better things to come. Looking over his 2011 season you have to give the guy full merits. He started the season ranked well out of the top 100 and had he been given a few slightly more favorable draws in some tournaments, he could have finished the season ranked inside the top 10. Further more, the injury that kept him away from tennis is quite a severe one, and most tennis players never come back to play at a professional level ever again. But to see someone with the qualities of Del Po cut his career short due to an injury, would have truly been an unfortunate situation. His “outer game” has no evident weaknesses.So his “inner game” is the only thing that can be improved. Or better yet said, could have been improved, because even if during 2011 he and his coach said that the belief of him ever winning another Grand Slam isn’t quite there, I’m sure 2011 was a season that helped build his confidence back up again. In terms of self-belief, one turning point surely was the French Open match he played against Djokovic – whom at that point was still undefeated for the season – in which he managed to push the Serb and send a sign that he can still compete at the highest level. Basically for 2012, Del Potro is in a much better starting position than 2011 and his ascendancy in the top 8 is only a matter of time. Since 2008, he has been a contender in each and every Grand Slam, yet despite making it to the final on three occasions, he has never managed to stamp his name on the winner’s trophy. I said it before, but I guess it won’t hurt me if I say it again. If Andy is ever going to win a Slam he has to start the tournament really well and pretty much wipe out his first week opponents in straight sets and by doing so, send a strong message in the locker room that he is here to win it. So far, in one way or another he has always found a way to make his life difficult during the first week matches which took more time and effort than they should have. 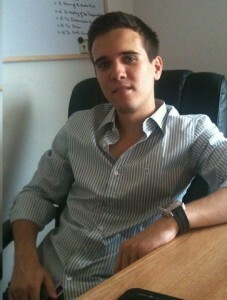 Now, from my point of view as a trader, I really can’t complain, because those matches are very profitable. But I am mentioning these facts because if things do change, then it’s a sign for better things to come from Murray and a change of tactic from our part – as traders – is necessary. Important to mention here are also two matches he played before the French Open. 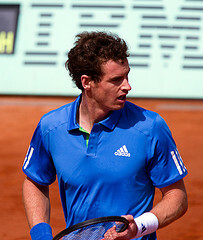 One was the SF in Monte Carlo where he had the better of Nadal, yet let it slip away, and the second match was the SF in Rome in which he played the then undefeated Djokovic and where he yet again was in a good position – serving for the match – but failed quite miserably to close of the match. Mentally, sometimes Murray can be anywhere. Perfect examples of this are the two first round losses in Indian Wells and Miami. One other thing you hear a lot of other experts saying about Murray’s game is that he isn’t agressive enough. One important step in that direction was taken at the French Open when he was playing the german player Michael Berrer. In that match Murray was leading by one set, and early in the second he slipped and twisted his ankle, which caused a few movement problems for him, at which point his only tactic was to be more aggressive and go for the shots. And in the end it paid off. Looking back at the match, I have to say that after the injury occurred, Murray was pretty much unplayable. Starting from that match onward, you could see the same tactics and most importantly, the belief in those tactics and his aggressiveness, in some of Murray’s matches during this past season. And if that match wasn’t enough, the next one in which he played Troicki was also a brilliant performance from Murray and overall, with an injury to the ankle he managed to achieve his best result at the French Open. Of course, as I said earlier the problem was never reaching the SF of a Slam, but putting the best possible performance when he gets there. But if you talk about Murray’s 2011 season you simply can’t overlook the match against Nadal at Wimbledon where he was one set up (things were going relatively well) and 15-30 up on Nadal serve in the second set, when he missed a easy forehand which ultimately changed the entire dynamic – and ultimately, outcome – of the match. In fact, he lost the next 7 games after that point and was pretty much absent from the match approximately 40 minutes. Now, momentum swings are not something new or rare in tennis, but a swing at this level and of such magnitude is rarely seen on the men’s tour. All in all, similar to Djokovic, if Murray stays in the top 4 while never losing patience, and always on the lookout to improve his game, sooner or late he will get his chance. As time passes I’m sure he will be able to put all his accumulated experience to good use. After all, he has had a good asian swing performance, even snatching the no. 3 spot from Federer for a while. But as Federer pointed out when asked what he thinks about Murray’s good form, the asian swing was lacking of any serious competition. But that statement is besides the point, because Murray did win against the same players that he usually encounters during the first weeks of Grand Slam, the very same players that have to be dismissed by him in straight sets, but until now has failed to do so. Berdych is a player that my ratings suggest will do much better in 2012 than in 2011. There are several factors that suggest so, but I won’t go into full details, I’ll just leave it at that. There are 6 US players on tour to monitor. Mardy Fish is the no.1 ranked US player, followed by John Isner, Andy Roddick, Ryan Harrison, Donald Young and Sam Querrey. With Fish it will be a question of whether or no he is healthy. If he is, he can take on any player on tour. That has always been the case in the past as well, even much so starting with this past season when he decided to take his game more seriously. Isner is a player you can never count out, because he has the biggest serve on the tour. Roddick is a player that could slide even lower in the rankings in 2012. He lacks any big weapons and his serve isn’t bringing him as many “free points” as it used to, but he does have a huge fighting spirits on court and that alone can compensate to some degree. The other two, Ryan Harrison and Donald Young are the young talent and are expected to grow in experience and build on their 2011 results. As for Sam Querrey, he has a top 20 game but his mental game has let him down on too many occasions. Milos Raonic.At one point during the first part of the season, before a back injury kicked in, managing to get a break of serve against this guy was a thing to celebrate. His serve is top 10 quality, and that goes for both his first and second serve. Roddick gave us a demonstration of the kind of effort one has to put in order to win against the guy. 2011 has been the year he’s managed to make a name for himself and usually the second year is a lot tuffer since players know what to expect. But the Canadian has big weapons and if he stays healthy I’m sure we’ll hear more about him in 2012. And if we are speaking of Canadians I should mention another one here, Vasek Pospisil.He first got on the radar of most people at the same time with Raonic when the two teamed up to play doubles in 2010 at Montreal and managed to defeat the Djokovic/Nadal team. He’s a tall player with a solid game and Raonic’s successes could act as a strong motivator for him. Tipsarevic has had his best season so far. Entered the top 10 and even got a chance at playing at the World Tour Finals in London where he put on a good show in both of the matches he played, and could have even passed the round robin stage. He’s a good player, a solid top 30 player but his current ranking is just slightly to high, but if he keeps his 2011 intensity and passion at the same levels, he could very well finish the 2012 season ranked in the top 20. And in a very similar situation, is Nicolas Almagro who is in the top 10 with only the clay court results helping him. Grigor Dimitrov is a player I mentioned before here on the blog. I was noting how he was over-valued in matches against players of similar caliber, just because he was expected to do well given his talent. But talent alone doesn’t bring you victories. Victories bring you victories. As I noted then, as he starts to play more atp tournaments and gets a few wins under his belt, he’s going to play better and then the odds would be more justifiable. One particular important match was the one against Tsonga at Wimbledon, which was a perfect scenario for the youngster to show off what his capable of, and despite losing the match he left a good impression and showed some of his shot-making capabilities. Other names worth mentioning are Monfils, Dolgopolov, Verdasco, Kevin Anderson, Gulbis, Tomic, Nalbandian. All these players are capable to a larger or lesser extend of achieving great results, so I thought I’d mention them, but I won’t go into further details for each one. But I will cover them in future posts. I won’t spend that much time covering the WTA, as on the women’s side, the mental game is the main factor that determines the outcome of matches. Of course there are exception, but they are the exceptions that only confirm the main rule. Looking from the top 20 downwards, all players have roughly the same technical abilities, so that’s why the mental side is what matters most. Without a doubt, the star of the show in 2011 was Kvitova. She won only one of the four Grand Slams, but she made the biggest impression because her game is just so big. Even from a few seasons ago, you could tell she had the quality to win majors and possibly be a dominant figure on the tour. Results wise, she has been up and down, but as she gains more experience her results will show more consistency. She’s still only 21 years old and not fully developed as a player with a great number of improvements that can be made to her game. But that’s the scary part for her opponents, that even so, being under developed, she manages to blow them of court. Provided that she stays healthy, I see no reason why she will not add a few more titles to her name. The question is how much time is the Dane going to keep the no.1 ranking and will she win a Major. While she is capable of keeping the world no. 1 ranking, I don’t see her capable of winning a Grand Slam. Her game lacks any big shots and her counter punching skills are simply not enough. Asking her to be agressive will not work because it’s not in her natural game. One example is the match she played against Serena Williams at the US Open where the Dane was struggling to hit a clean winner. No winners, no majors.It’s that simple. I remember that before the start of the French Open, Azarenka was the main favorite to win the tournament. I considered her unready to win a major. She’s had some good results in 2011 and can build on them but some times her attitude is just way below par. We’ll see how her season goes and if she decided to change or add anything to her game.Until then I can’t rate her as a main contender for the Slams. Both of these girls are in the top 20 and are serious prospects for a top 10 ranking. Pavlyuncenkova is a talented player that I see as a potential future Grand Slam winner. In 2011 she made the QF at the French.In that QF she played against Schiavone and suffered a bad loss, because she had the match totally in control from all points of view, but her mental game let her down at the worst possible times. That was a critical match, a turning point match in her career. Usually there are two types of players, that react in two different ways to such a loss. One type makes that match and situation, an isolated incident (learns from their mistakes) while the other type lets that situation repeat itself in the future and becomes a habit in his/her game. Lisicki has a strong serve that can be very useful, especially on the women’s tour. 2011 represented an injury comeback year for her, and did very well, putting on a good performances in all the tournaments she participated in. As Pavlyuchenkova, she is regarded as a possible future Slam winner. Clijsters and the Williams sisters are the more experienced players on tour and are always contenders to winning majors. The only question is the motivational level. Clijsters has stated several times that her family comes first and tennis comes second. For the Williams sisters, it’s all about being healthy and having enough matches players, so that they have a minimum of form to go by. Na Li and Sam Stosur are the other two Grand Slam winners of 2011. While I always regarded Sam as a potential threat in the majors, Na Li took me a bit by surprise winning the French. What I found as the crucial match in that tournament, was her match with Kvitova where she was down a break in the third but managed to come back and win it. That surely was the moment that boosted her self-belief immensely. Unfortunately for her, the rest of the season was rather disastrous, as she literally was struggling to win a match. The first part of the season will be tell us more whether her form after the French was simply the pressure of expectations or if it will be more of a long term thing. She is also 29 years old (30 is February 2012) and that’s why I fear that winning the French Open could be the only major result of the career and 2012 will be the year she will slip further down the rankings. Similar to Li, Stosur had a few poor performances after winning the US Open but her last results for 2011 were better,and I still see her able to do well in Grand Slams. She made SF in 2009 and played the final in 2010 at the French Open, and despite the 3rd Round loss in 2011 I think she is able to do well in Paris in future years. Her game is well suited for clay and with the boost in confidence she got from winning the US Open, her chances in Paris increase considerably. But until the French, she has to play the Aussie open, where it’s interesting to see how she deals with the expectations that the Australian public will have of her. And speaking of Aussie players, Jarmilla Gajdisova and Jelena Dokic are expected to have more than decent performances in their adopted country. The “Best Newcomer of the Year” award for 2011 was awarded to Camelia Irina Begu from Romania.She played 2 finals in 2011, both on clay, a surface she grew up on, and overall looks like a solid player with very “correct” shots.Provided that she stays injury-free I think we’ll see more of her in future seasons, especially during the clay court tournaments. And speaking of clay court tournaments, Carla Suarez Navarro is another player that knows how to play on a clay court, only due to several problems, never got to play at her full potential. She is still young at 23 years of age, and that’s why she has plenty of time to improve on the highest ranking of 22, achieved in May 2009. By far the most important deviation, in 2012, from the regular tennis calendar will be the Olympic games tennis event, that will take place from the 29th of July until the 5th of August. The location will be Wimbledon, which means that 3 weeks after the finish of the Wimbledon Championships, the grass surface will have to be ready for a new full week of tennis. But I’ll cover this subject in future posts, at the appropriate time. Another change worth mentioning will be at the Mutua Madrilena Open, during the European clay court season, when the red clay we’ve been accustomed to, will now be blue. It does seem that the blue color is starting to become the universal color for tennis. And speaking of blue colored tennis courts, similar to what we have become accustomed to during the last few years, the 2012 tennis season will debut with an exhibition tournament in Abu Dhabi at the Zayed Sports City. Djokovic, Nadal, Federer, Ferrer, Tsonga and Monfils will be the players that will be taking part in this year’s edition of the exhibition tournament. Should be interesting!